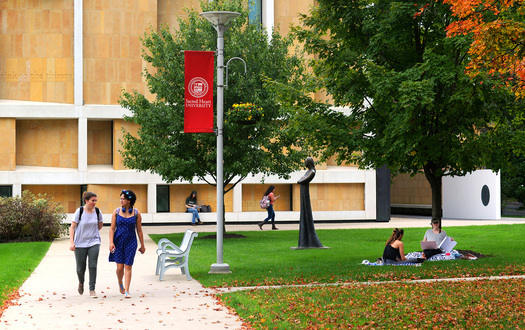 FAIRFIELD, CT - According to a recently released biennial Economic Impact Study examining the role of Connecticut’s private colleges and universities, Sacred Heart University (SHU) has a significant impact on the local and regional economies. Total direct spending by the University is in excess of $1.4 billion; direct spending by students accounts for over $99 million; and University visitors spend at least $1.6 million annually in the area. Overall, the University’s estimated total economic impact is $2.3 billion. What’s more, 17,121 jobs have been created to support this population and the University. The impact study, just released by the Connecticut Conference of Independent Colleges (CCIC), is reaffirming the critical role of the state’s independent colleges and universities in helping to maintain the state’s economic health. Specifically, the report documents that these 15 non-profit colleges and universities together pump $33.2 billion into the state, based on fiscal year 2017 data. The study looked at the payrolls of the independent colleges and universities, their spending for goods and services and the spending done by students, visitors, faculty and staff along with the indirect and induced job creation and spending that occurs because of the presence of these institutions in their communities. In addition to the financial benefits related to student housing, SHU students, their families and visitors spend millions of dollars annually supporting the local economy. That includes groceries, gasoline, purchases at stores and restaurants, laundromats, pharmacies and the myriad of small businesses that thrive serving this population. And while it is impossible to accurately measure the value provided by the quality education students receive at SHU and the state’s other institutions of higher learning, there is no question that employers see Connecticut’s colleges and universities as critical incubators for workers, research, innovation and collaboration. Petillo and CCIC pointed out that Connecticut’s private colleges and universities enroll over 80,000 students statewide, including more than half of all undergraduate students and 61.5 percent of all graduate students at four-year and above institutions. They award 47 percent of all bachelor’s degrees earned, and between 51 percent and 70 percent of four-year and post-graduate degrees in key economic-development cluster areas such as bioscience, engineering and computer sciences. In addition to educating 49 percent of all minority students enrolled in four-year programs, these private institutions also award over $1 billion annually in institutional grant assistance. They do all this while receiving just 17 percent of the state-awarded funding from the Roberta Willis Scholarship Fund ($5,595, 901 of $34,207,024 in 2018-19).